In recent years, most entrepreneurs who have been in one business or the other can say the entire process of running a business has become easier. With a variety of online startup ideas which exist in almost every part of the world today, a large number of people can now easily get themselves busy and eventually earn a living. Thanks to the internet, men and women choose what suits them best from the varieties of possible business motives, as they tend to decide how fast they want to earn, and equally, how fast they want their business to grow within certain periods of time. When it comes to deciding how fast you would want to grow and earn in your business, you might want to consider factors such as setting your schedule, choosing your workplace, and even determining how much effort you possibly can use. It all just depends on you. In other words, your time and effort should determine the success rate of your business idea. 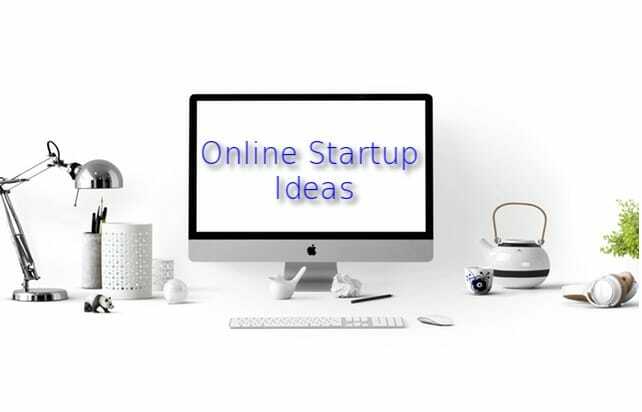 But before embarking on such a great idea, I suggest you might as well know the kinds of online startup ideas that would motivate that business of yours. If you are reading this, then no doubt, you must have always wanted to open up a business of your own online. If you are thinking of doing that, then it is important you know what online startup ideas are likely to motivate that business of yours. This can be very helpful to you, as you get to set your schedule, plan your daily activities, and as well, give yourself breaks whenever you want. Below are 12 extremely successful online startup ideas to help motivate your business. Millions of people every day earn a living from their blogs. Blogging is an easy-to-run business that does not require much of a large investment, and with the increasing number of bloggers around the world, almost everyone would be eager to have a blog of their own. Blogging is a very important business that suits those who prefer to work from home. If you can not create one yourself, you should consider hiring a web developer or designer who can build one for you at a low-cost price. By owning a blog, you can write and publish contents that you like or find interest in, and at the same time, make money. In other words, bloggers can make money from signing up for affiliate marketing programs, as well as blog ad networks like Google Adsense. This is something anyone can do, as you can gain a lot of income from working as an affiliate marketer. All you need to do is share links to special products people can buy, and once a purchase is made, you get your commission. Affiliate marketing can be used with a blog as well, as this drives more people to buy the products. In other words, affiliate marketing involves you using your blog or website to refer people to a particular product online, and then you get a cut of how much they paid. Many affiliate programs including Amazon offer high commissions to partners. You must have heard of YouTube and how easy it is to upload videos for people to watch. You can make videos that offer entertainment and education and upload them to YouTube. In the same sense, you can make a massive income from sharing videos. It is time to make sure those videos of yours come in handy. You can provide high-quality and valuable contents to your audience, and at the same time, drive huge traffic to your blog or website. But apart from all these, you can make money from the ads YouTube can place in your videos. Do you know you can write a book and publish it online? Well, this is real. You can even start making sales from it after a week. Many people around the world use this as their online business and as an opportunity to enjoy what they love doing. Start a self-publishing business today! 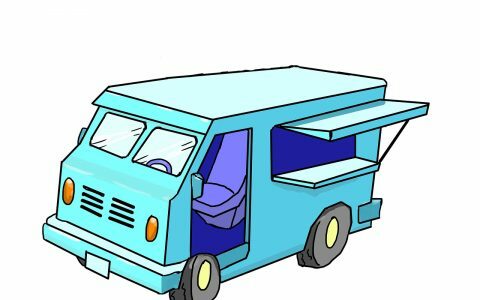 One online startup idea that offers people their desired business life is Domain Flipping. Motivate your business with the idea of domain flipping and be sure to benefit a lot from it. Domain Flipping involves buying a someone’s website, reconstructing it, and then finally selling it to another person. This kind of online business brings in a handsome income. You can work as a researcher online. This is a very simple form of online business, as you would get paid for just finding information online. You do not need to be a programmer or learn hundreds of lines of code to be able to create and develop apps online, although it would be helpful if you do. Many companies and software developers are willing to work with people in creating mobile apps. Investing in something unique can help kick-start your online business career. There are many freelance websites including Upwork, which provide freelance jobs to people who prefer to work alone. Freelancers can complete writing jobs like CV writing, speech writing and many more, and get paid for their works. In recent years, companies, brands, and agencies have been getting involved in social marketing. If you are skilled in such area, you can work as a social media manager for any of these businesses organizations, as they would require someone who can deal with metrics, tactics, and data analysis. Are you skilled in cooking? Do you feel like offering your expertise in cooking to people? Then let people hire you to create those special dishes with that special taste they cannot find elsewhere. These days, Search Engine Optimization(SEO) is practically what many website owners rely on for the proper optimization of their website on search engines. If you are an expert at offering content creation, on-page SEO optimization, and link building packages, then this is the right business you should consider as a Successful Online Startup Ideas. You can educate business website owners on the ins and outs of search engines. If you have experience with working with computers, networks, and other technical devices, then you can offer online technical support to people who are having issues with their tech devices and at the same time, get paid for it.